Works at Artistic Expressions Dentistry at 1 office location. My daughter incurred an injury when she was ten years old that left her front teeth damaged and grey. Over the next eight years, Dr. Wilderman and his staff worked expertly to find amazing solutions in conguntion with the changes in her dental circumstances. Now at nineteen she proudly displays her movie star teeth we dared to dream was possible. Thank you Artistic Expressions for giving us all a reason to smile!!!! 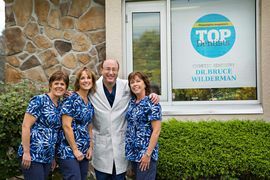 I cannot say enough about the wonderful experience we had with Dr. Wilderman and his staff. My teenage daughter had ground her teeth to the point where her dental health and her confidence were in jeopardy. He outlined a plan to give her the smile she wanted, and spent an inordinate amount of time ensuring that the color, shape, and overall appearance of her veneers would be perfect for her. She is overjoyed at her new smile, and flashes it constantly. Her confidence is restored and she is extremely happy with the results! Thank you to all of you for all of your hard work and dedication to making my daughter proud of her smile! This review would be 6 pages long if I were to write every great thing out in detail so to make it easy for all of you reading here it is in bullet points: * Professionalism: 5 star treatment. Dr. W and his staff always make you feel like you're the most important patient to them mainly because you are! Every patient is treated with total respect. * Timeliness: Appointments are scheduled with respect for you and other patients. They are rarely a minute behind-I've never had to wait. * Staff: Dr. W, Jeanette,Kathy, Phyllis and Kathy are all very professional yet they feel like family. They are fun, but perfectionists and ensure you leave happy. * Quality: For caps I can say they use the best labs - and won't finish until you are satisfied. I had to send my first set back & there was no problem in doing so. They know that their reputation is based upon their work so make sure to do everything perfectly. If you are not happy they are not happy end of story. They are there for you as your doctor, friend, neighbor and professional worker. I've lived in numerous cities and can say this office compared to so many is #1. I highly recommend Dr. Wilderman & every one of his staff. If you have any doubts take my word for it this office should be your choice. You'll be so happy you made Dr. W your dentist! Bruce Wilderman and his team of cosmetic dentists gave me the most beautiful smile I could have ever asked for. As soon as my adult teeth came in my pediatric dentist knew there was something different. I suffered from one of the worst cases of fluorosis (a chronic condition caused by excessive intake of fluorine compounds, marked by mottling of the teeth) she, and numerous other dentists had seen. I was told when I was very young that veneers were going to be the only way to fix my speckled teeth. As I grew older, I became more and more self conscious of the way my teeth looked, how they were different. The dark spots were extremely dark, which made the white spots appear even more out of place. I went to Dr. Wilderman for a mere consultation in December, but quickly realized he was going to be the cosmetic dentist for me. He recommended 10 veneers for my top teeth, and bleach whitening for my bottom teeth. This he said would complete my âsmile makeover.â Four months later, and after a few ups and downs, my smile looks FANTASTIC. No longer do I have spots on my teeth, but a uniform white smile. I know my case was special, and it meant a lot to me that Dr. Wilderman walked me through every step of the process. The step by step information I was given, from the temporary teeth to the real veneers, I always felt like I was part of the process (I even learned a little too). The staff is friendly and made me feel at ease, even when having my first experience with Novocain. The finished product is flawless. The reaction I got from my parents, after seeing their child for 13+ years with discolored teeth, to a brilliant smile was priceless â they were almost in tears. If you are ever in need of veneers, I highly recommend Artistic Expressions Dentistry. 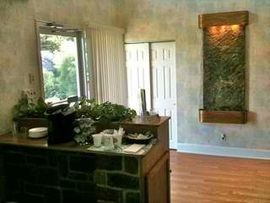 Dr. Wilderman, his staff, his knowledge, and the results are incomparable. I am extremely satisfied with my smile â it is now my forever smile. Finally, after over 15 years of dental work, Dr. Wilderman is finishing what others merely started... 'Food pockets' filled/teeth properly repaired, each procedure performed so gently I could fall asleep in the chair... Next is a crown: 3rd Crown's a Charm!- and once the final procedure is complete there will only be regular cleanings in my dental future... Sadly enough, all I'll have to 'do' in the dental arena after my veneers are in place will be throwing out references to his outstanding office! 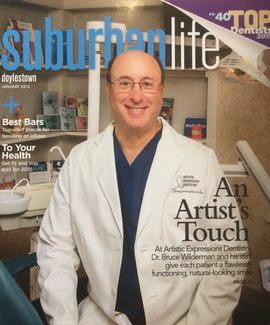 Dr Wilderman has been my dentist for over 20 years. He is the best dentist I have ever known: Always looking for ways to improve his skills and servicesâ¦ always helpful, personable and does absolutely outstanding work! Office staff couldn't be better! After many years of not liking my smile because of cyellow and crooked front teeth I finally came to DR Wilderman and his staff for veneers. All I can say is I should have done it years ago! My teeth are beautiful and so natural looking. I have a new found confidence and am no longer hesitant to smile widely! Thank You Dr Wilderman and Staff! 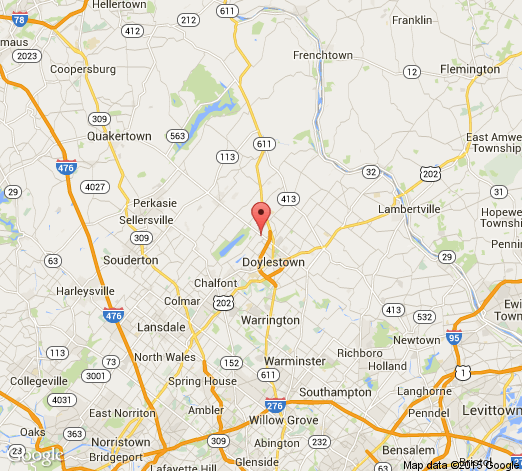 Melissa M.
Circumstances necessitated a change in my afternoon appointment for a cleaning. Dr Wilderman and his entire staff worked to move me to a morning slot.... most appreciated. Great service! Dr. Wilderman is the BEST! Great personality and great at what he does. Patients needs come first 100% of the time. Even with emergency visits he is top notch with seeing you promptly! His cosmetic work is flawless. His procedures for getting to the final end point are unlike anyone else. No cutting corners to get the job done. Worth every penny! 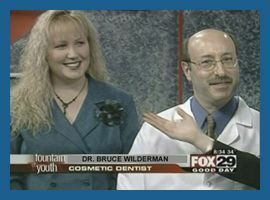 Led by Philadelphia dentist Bruce Wilderman, DDS, Artistic Expressions Dentistry offers cosmetic dentistry services like porcelain veneers, teeth whitening, Invisalign, dental implants, & more! 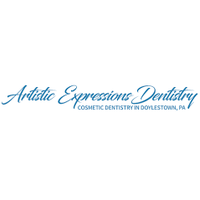 At Artistic Expressions Dentistry, we hold true to our promise to create masterpiece smiles. Dr. Bruce Wilderman uses the latest in cosmetic and restorative dentistry techniques to give you the smile youve always wanted. 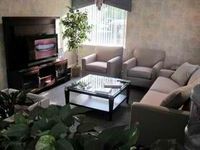 Our exceptional staff will give you the personal attention you need to feel comfortable with your care. 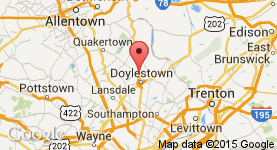 We know you deserve the best treatment and, from the first moment you enter our Doylestown cosmetic dentistry office, well be sure youre taken care of.